4-Cylinder DOHC, 6-Speed Automatic with Sportmatic, AWD, Red, BLACK CLOTH Cloth. 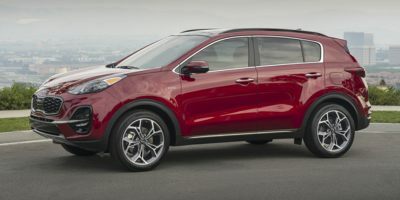 2020 Kia Sportage AWD 6-Speed Automatic with Sportmatic 4-Cylinder DOHC Red Recent Arrival! New Price!<br><br><br>AutoServ is a family owned and operated business in the Lakes Region of New Hampshire for over 25 years. We are truly a 'family' business, not a chain or public corporation. We have deep roots in this community. For us, this is personal. You are our neighbors, our family and those of the 150+ professionals we employ, live here and interact in this community on a daily basis. We care what you think and how you feel because we are one of you. We are civically and socially involved in the community and our reputation means everything. AutoServ's care for our customers is exemplified best by our "AutoServ for Life" program. With AutoServ for Life we 'share' in the cost of ownership with you by providing our customers with benefits no other dealer in the region provides. From our Lifetime Engine Guarantee to our in-house Fitness Center, we are a destination serving the community. We invite you to try an unique buying experience by doing business with us. You won't regret it. "Price is important... and customer satisfaction is Priceless" Thank you for the opportunity to earn your business. The Gaudet Family. 4D Sport Utility, 4-Cylinder DOHC, 6-Speed Automatic with Sportmatic, AWD, Black Cherry, BLACK CLOTH Cloth. 2020 Kia Sportage AWD 6-Speed Automatic with Sportmatic 4-Cylinder DOHC Black Cherry Recent Arrival!<br><br><br>AutoServ is a family owned and operated business in the Lakes Region of New Hampshire for over 25 years. We are truly a 'family' business, not a chain or public corporation. We have deep roots in this community. For us, this is personal. You are our neighbors, our family and those of the 150+ professionals we employ, live here and interact in this community on a daily basis. We care what you think and how you feel because we are one of you. We are civically and socially involved in the community and our reputation means everything. AutoServ's care for our customers is exemplified best by our "AutoServ for Life" program. With AutoServ for Life we 'share' in the cost of ownership with you by providing our customers with benefits no other dealer in the region provides. From our Lifetime Engine Guarantee to our in-house Fitness Center, we are a destination serving the community. We invite you to try an unique buying experience by doing business with us. You won't regret it. "Price is important... and customer satisfaction is Priceless" Thank you for the opportunity to earn your business. The Gaudet Family. 4D Sport Utility, 4-Cylinder DOHC, 6-Speed Automatic with Sportmatic, AWD, Copper, BLACK CLOTH Cloth. 2020 Kia Sportage AWD 6-Speed Automatic with Sportmatic 4-Cylinder DOHC Copper Recent Arrival!<br><br><br>AutoServ is a family owned and operated business in the Lakes Region of New Hampshire for over 25 years. We are truly a 'family' business, not a chain or public corporation. We have deep roots in this community. For us, this is personal. You are our neighbors, our family and those of the 150+ professionals we employ, live here and interact in this community on a daily basis. We care what you think and how you feel because we are one of you. We are civically and socially involved in the community and our reputation means everything. AutoServ's care for our customers is exemplified best by our "AutoServ for Life" program. With AutoServ for Life we 'share' in the cost of ownership with you by providing our customers with benefits no other dealer in the region provides. From our Lifetime Engine Guarantee to our in-house Fitness Center, we are a destination serving the community. We invite you to try an unique buying experience by doing business with us. You won't regret it. "Price is important... and customer satisfaction is Priceless" Thank you for the opportunity to earn your business. The Gaudet Family. Sportage EX, 4D Sport Utility, 2.4L I4 DGI DOHC, 6-Speed Automatic with Sportmatic, AWD, Pacific Blue, BLACK CLOTH Cloth, Exterior Parking Camera Rear, Power moonroof, Wheels: 18" Machined-Finish Alloy. 2020 Kia Sportage EX AWD 6-Speed Automatic with Sportmatic 2.4L I4 DGI DOHC Pacific Blue Recent Arrival!<br><br><br>AutoServ is a family owned and operated business in the Lakes Region of New Hampshire for over 25 years. We are truly a 'family' business, not a chain or public corporation. We have deep roots in this community. For us, this is personal. You are our neighbors, our family and those of the 150+ professionals we employ, live here and interact in this community on a daily basis. We care what you think and how you feel because we are one of you. We are civically and socially involved in the community and our reputation means everything. AutoServ's care for our customers is exemplified best by our "AutoServ for Life" program. With AutoServ for Life we 'share' in the cost of ownership with you by providing our customers with benefits no other dealer in the region provides. From our Lifetime Engine Guarantee to our in-house Fitness Center, we are a destination serving the community. We invite you to try an unique buying experience by doing business with us. You won't regret it. "Price is important... and customer satisfaction is Priceless" Thank you for the opportunity to earn your business. The Gaudet Family. Sportage EX, 4D Sport Utility, 2.4L I4 DGI DOHC, 6-Speed Automatic with Sportmatic, AWD, White Pearl, Exterior Parking Camera Rear, Power moonroof, Wheels: 18" Machined-Finish Alloy. 2020 Kia Sportage EX AWD 6-Speed Automatic with Sportmatic 2.4L I4 DGI DOHC White Pearl Recent Arrival!<br><br><br>AutoServ is a family owned and operated business in the Lakes Region of New Hampshire for over 25 years. We are truly a 'family' business, not a chain or public corporation. We have deep roots in this community. For us, this is personal. You are our neighbors, our family and those of the 150+ professionals we employ, live here and interact in this community on a daily basis. We care what you think and how you feel because we are one of you. We are civically and socially involved in the community and our reputation means everything. AutoServ's care for our customers is exemplified best by our "AutoServ for Life" program. With AutoServ for Life we 'share' in the cost of ownership with you by providing our customers with benefits no other dealer in the region provides. From our Lifetime Engine Guarantee to our in-house Fitness Center, we are a destination serving the community. We invite you to try an unique buying experience by doing business with us. You won't regret it. "Price is important... and customer satisfaction is Priceless" Thank you for the opportunity to earn your business. The Gaudet Family. AWD, 17" Alloy Wheels, Exterior Parking Camera Rear. 2020 Kia Sportage LX AWD 6-Speed Automatic with Sportmatic 2.4L I4 DGI DOHC Copper Recent Arrival! AWD, 17" Alloy Wheels, Exterior Parking Camera Rear. 2020 Kia Sportage LX AWD 6-Speed Automatic with Sportmatic 2.4L I4 DGI DOHC Steel Gray Recent Arrival! AWD, 17" Alloy Wheels, Spoiler. 2020 Kia Sportage LX AWD 6-Speed Automatic with Sportmatic 2.4L I4 DGI DOHC Sparkling Silver Recent Arrival! AWD, Power moonroof, Wheels: 18" Machined-Finish Alloy. 2020 Kia Sportage EX AWD 6-Speed Automatic with Sportmatic 2.4L I4 DGI DOHC Black Cherry Recent Arrival! AWD, Power moonroof, Wheels: 18" Machined-Finish Alloy. 2020 Kia Sportage EX AWD 6-Speed Automatic with Sportmatic 2.4L I4 DGI DOHC Steel Gray Recent Arrival! AWD, 17" Alloy Wheels, Exterior Parking Camera Rear. 2020 Kia Sportage LX AWD 6-Speed Automatic with Sportmatic 2.4L I4 DGI DOHC Black Cherry Recent Arrival!